HNS was lucky enough to sit down and chat with the creators of podcast “Voyage to the Stars” at Wondercon 2019. 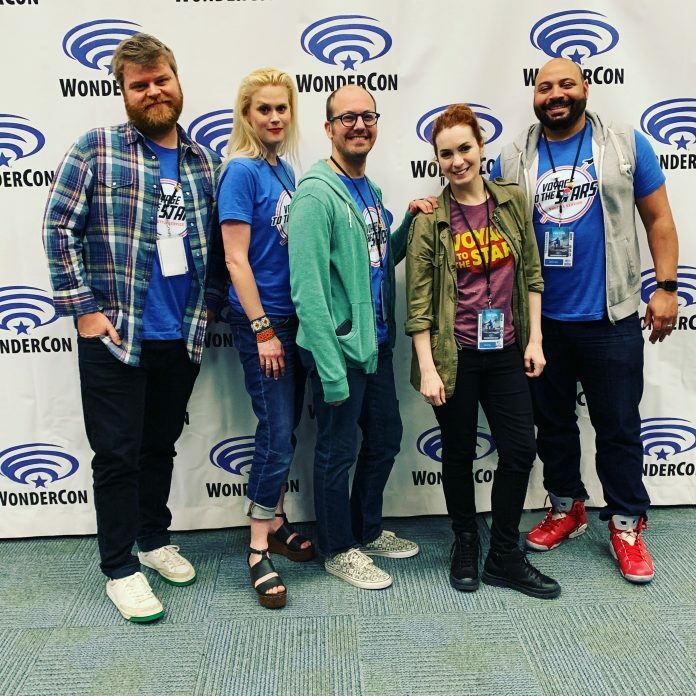 Check out our interview with the group – including Felicia Day, Colton Dunn, Steve Berg, Janet Varney, and Ryan Copple below! Voyage to the Stars isn’t just a podcast. It’s an expanding universe of improvised sci-fi comedy stories and characters that goes where no podcast has gone before: directly to the heart of the genre fan community. We’re kicking off with a podcast and quickly evolving into comic books, live shows, games, awesome merch and toys, and everything in-between. This not-so-podcast will take fans to the end of the universe and beyond, one absurd improvised story at a time. 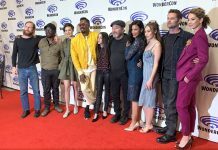 Starring Colton Dunn (Superstore, Key & Peele, Parks & Recreation) as a wholly unqualified Captain Tucker Lentz, Felicia Day (The Guild, Buffy the Vampire Slayer, Dr. Horrible’s Sing-Along Blog) as scatterbrained scientist Elsa Rankfort, Steve Berg (The Good Place, Tag, The Goldbergs) as apathetic technician Stew Merkel, and Janet Varney (You’re The Worst, Stan Against Evil, Key & Peele) as the misanthropic A.I. 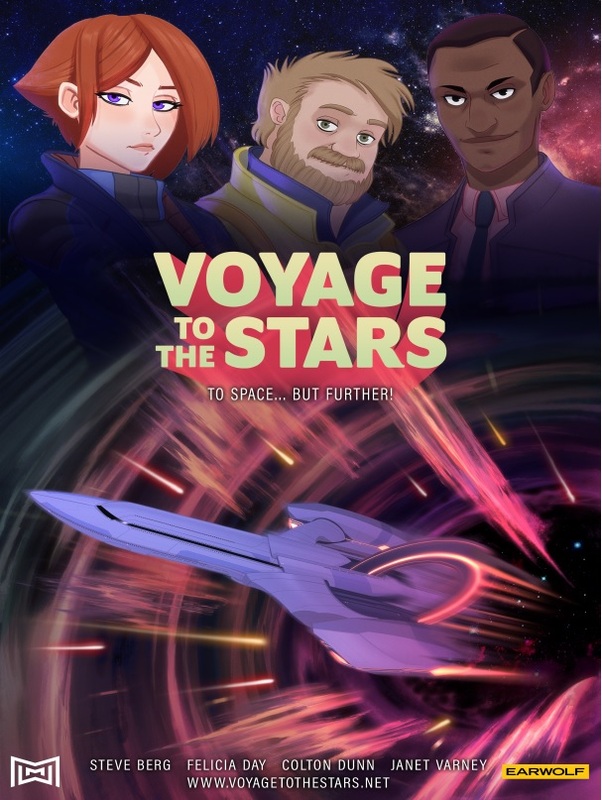 aptly named Sorry, Voyage to the Stars is about the misadventures of this group of misfits who accidentally find themselves on the wrong side of a wormhole. Their mission: try not to blow up the galaxy in their attempts to return home. 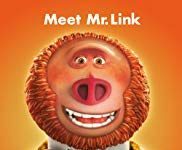 Each alien planet they visit along the way is more outrageous than the last, with bizarre creatures played by guest stars including Tom Lenk, Amir Talai, Chris Williams, Eric Edelstein, Gary Anthony Williams, Hal Lublin, Nyima Funk, Suzy Nakamura, Cole Stratton and Deborah Baker Jr.